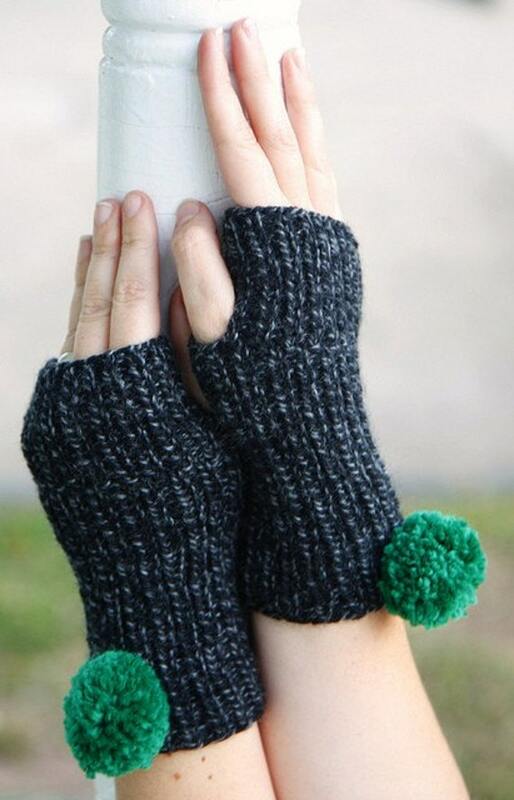 Show off your wrists with this pair of fingerless gloves. They are accented with a kelly green pom pom. They are handknitted with super soft 100% merino wool. Great for typing on the computer! Measure 7 inches in length. *Gloves come gift wrapped in vintage paper with ribbon. *All items made in a smoke-free, pet-free environment!